Join us for the annual Airing of the Quilts and the Smithville Garden Club Home Tour! 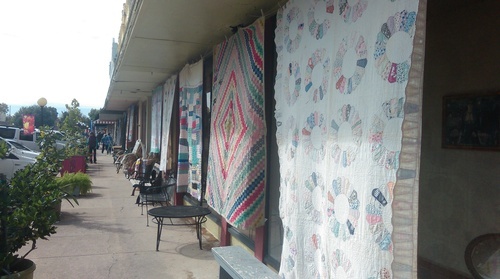 Stroll historic Main Street to see beautiful quilts displayed in front of our historic buildings. Ride the train to two churches displaying quilts in their sanctuaries. Tour several lovely historic homes throughout Smithville. Shop, dine and enjoy historic Smithville. A BIG small town experience!